United Parcel Service selected D.F. 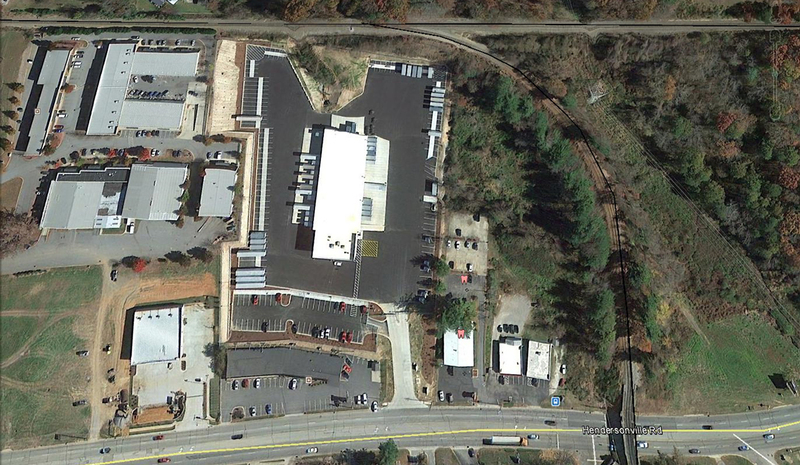 Chase to construct a new 247,000 square foot expansion to its existing hub located in Whites Creek, Tennessee. Along with the expansion, the project consists of a new Vehicle Maintenance Building, two new guardhouses, and several parking lots to further accommodate the growing facility.To be completed in 14 months, careful planning, scheduling, and communication with the Owner is required to maintain access to the existing hub and keep UPS in full-time operations.The new facility consists of structural steel with precast concrete panels and 128 new dock doors. The interior of the hub also includes offices and meeting rooms for employees.The employee parking sits over approximately 105,000 square feet of underground detention structures. D.F. Chase inc. completed a 66 door concrete tilt facility for SEFL in Lexington KY in May of 2017. Project commenced in December of 2016. This was a 20 acre site which includes all the necessary infrastructure to expand and double the size of the building for future growth. 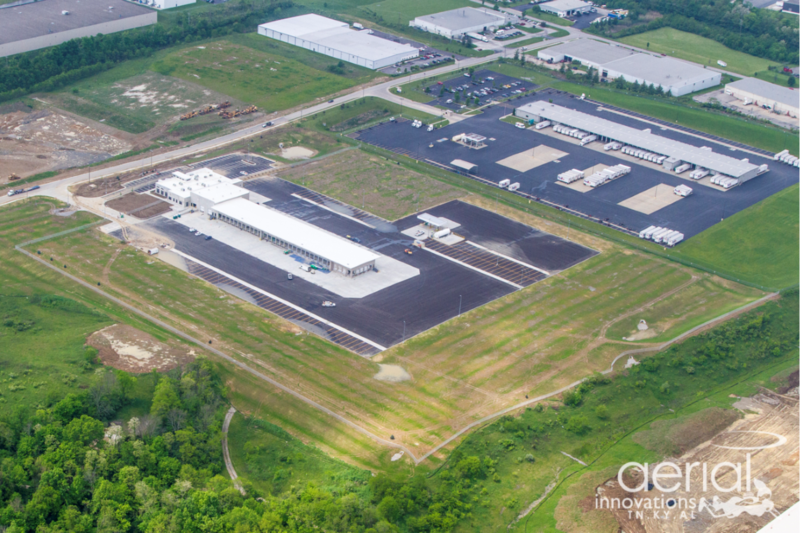 This facility is SEFL’s second new facility as they continue to grow into the Kentucky market and is their second most northern new facility outside of Florence KY that was completed just prior to the construction of this facility. SEFL is a longtime client of D.F.Chase and we continue to support and deliver quality and construction to support they ever growing market. SAAD Development relied once again on D.F. 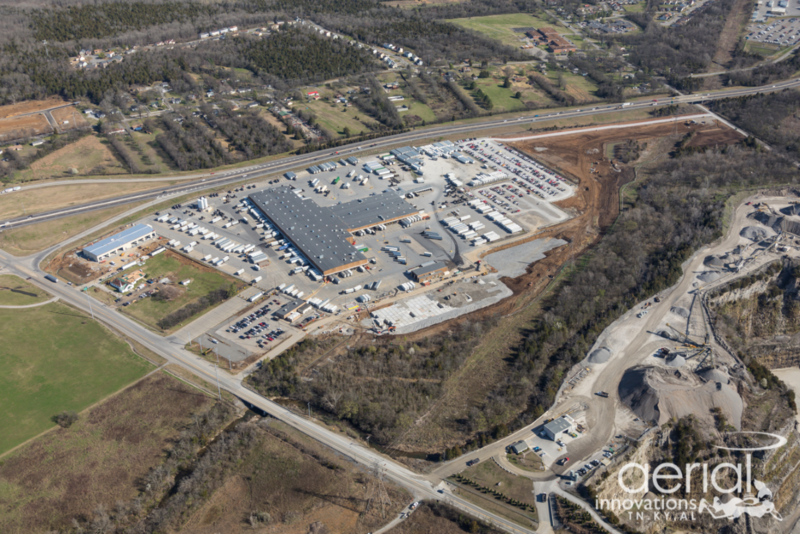 Chase to design-build this new 239,000 square foot facility for end user FedEx Ground. This facility, like others for this same client, had a very tight timeline and this project was no exception with turnover in the Spring of 2017. 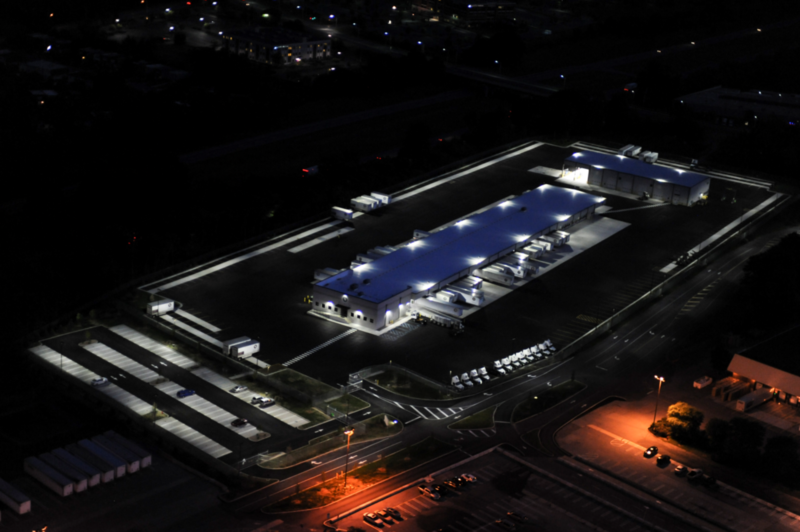 This project included a very sophisticated gate and barrier system with a stand-a-lone security building including metal detectors and turnstiles to process both employees and visitors.The building is a pre-engineered frame with insulated metal panels on the front façade and standard R panels for the remainder of the warehouse exterior. The interior of this logistics center includes staff offices and many prototypical features specific to FedEx Ground use. Jones Development called on D.F. 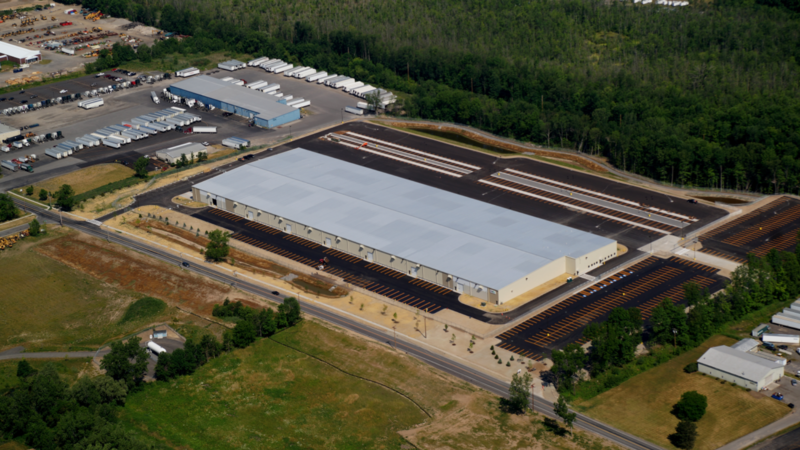 Chase to design-build a new 150,000 square foot manual facility for end user FedEx Ground. The facility had a tight timeline to be designed in about 45 days and construction to be ready to hand over the keys to FedEx within 10 months. There is an elaborate automated gate and barrier system with a standalone security building including metal detectors and turnstiles to process both employees and visitors.The building is pre-engineered with insulated metal panel for the offices and standard panels for the warehouse. The interior of this “all the bells and whistles” logistics center includes staff offices including many prototypical features specific to FedEx Ground use. D.F. 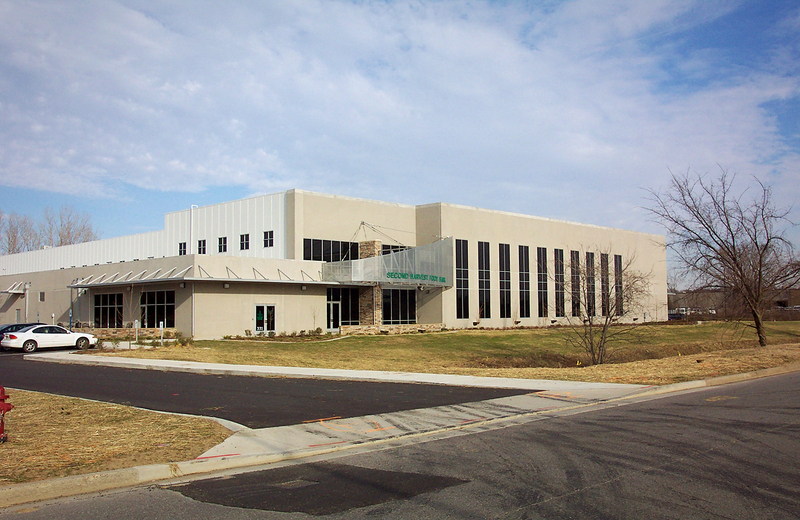 Chase was selected to construct a new logistics facility for Southeastern Freight Lines in Independence, Kentucky. 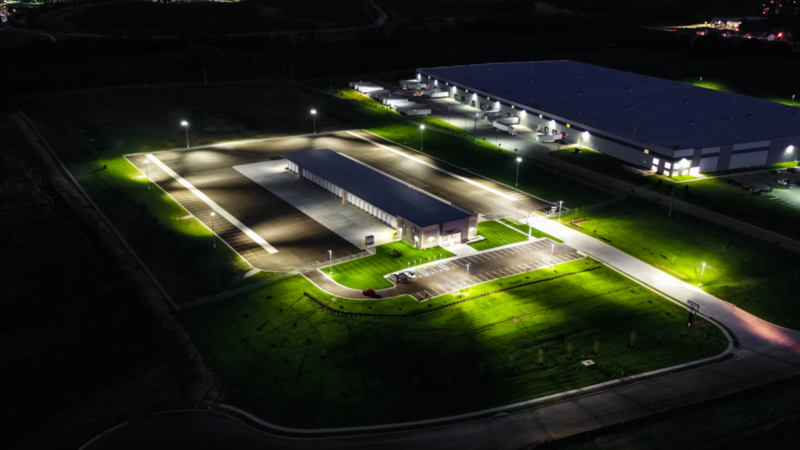 The new facility is located on a 25-acre site and includes a new office, bunk area, appointment warehouse, and cross dock facility. Fuel tank areas with fueling are also included onsite. D.F. Chase performed this project entirely as design-build. The facility has been master-planned to add a future shop and increase the cross dock portion from 72 doors to 125 doors. The design and construction costs are $8,200,000. 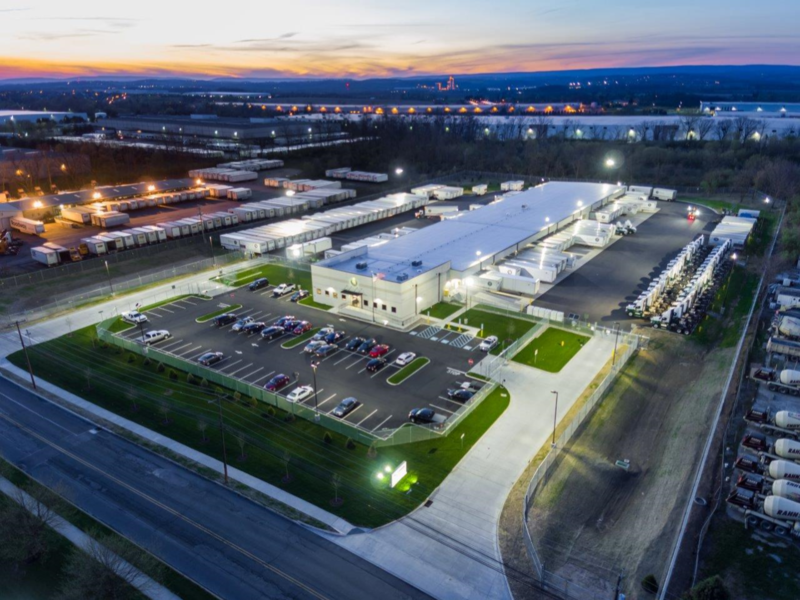 Southeastern Freight Lines has ventured into the Kentucky market and this is their first ground-up facility in this region. 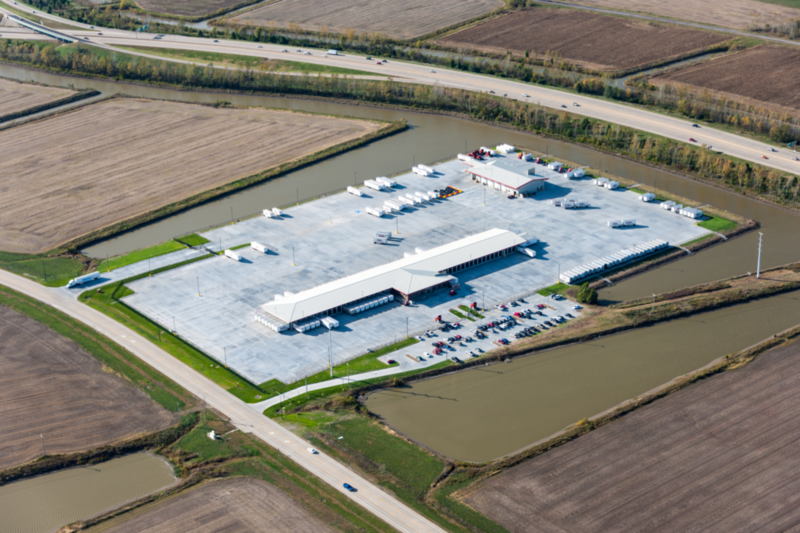 This facility is a ground-up design-build project which includes 5,500 square feet of office space, a 46,000 square foot dock with 101 dock doors, and a 13,000 square foot maintenance facility. The construction consists of concrete tilt-wall panels with conventional steel framing which gives the owner a very clean-looking, long-lasting, and durable structure. This project was completed in ten months while enduring the winter conditions of St. Peters, Missouri. 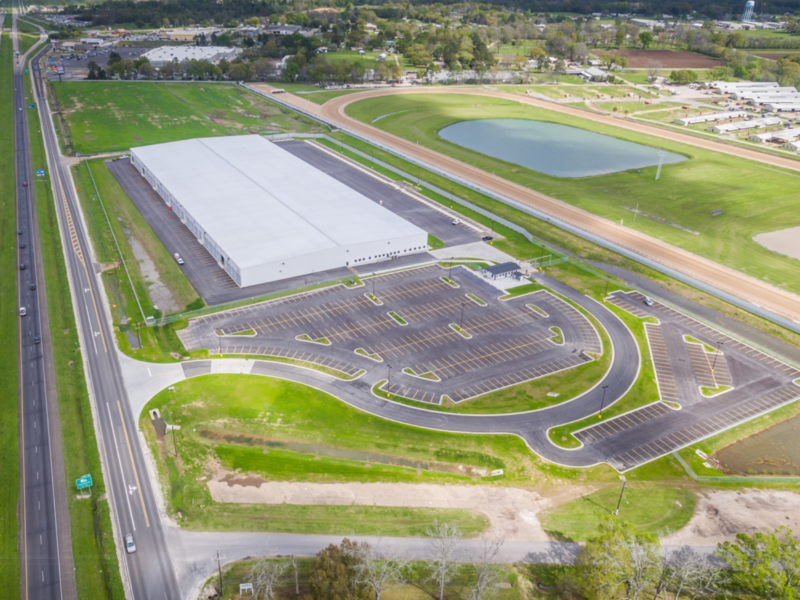 This 80,000 square foot facility for distributing food to the hungry includes a 8,250 square foot freezer, a 3,800 square foot cooler, and a 3,000 square foot cook/chill production area. This new, state-of-the-art facility provides for the converting of perishable foods into shelf-stable products.